The Patek Philippe Nautilus 5990 is a large steel watch featuring a round case, which has been designed to resemble the porthole of a ship. 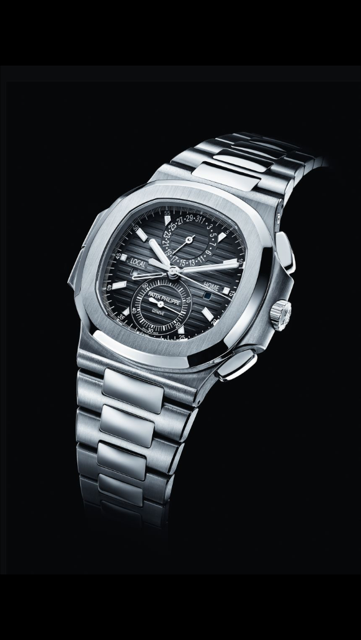 A version of the Nautilus has been in the Patek Philippe range since 1976. Local and “home” day/night indication in apertures. Black gradated dial, gold applied hour markers with luminescent coating. Case diameter (10 – 4 o’clock): 40.5 mm.